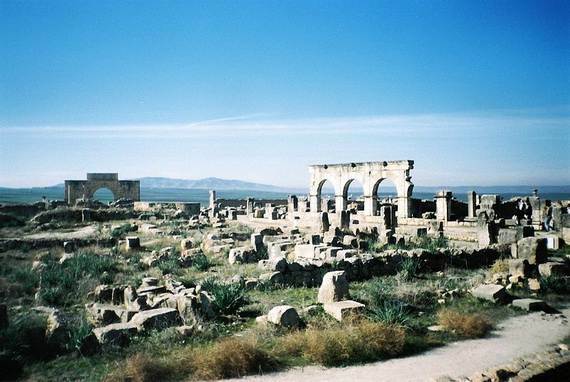 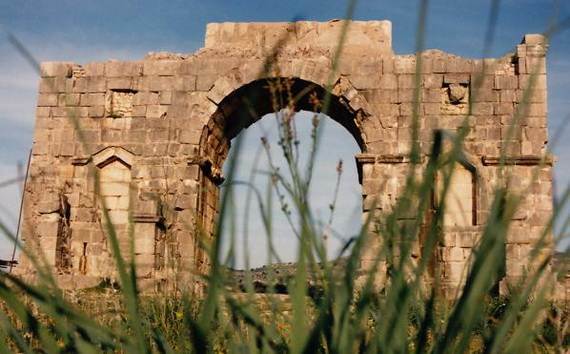 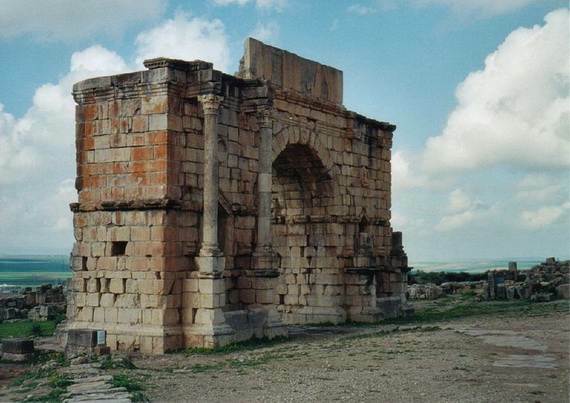 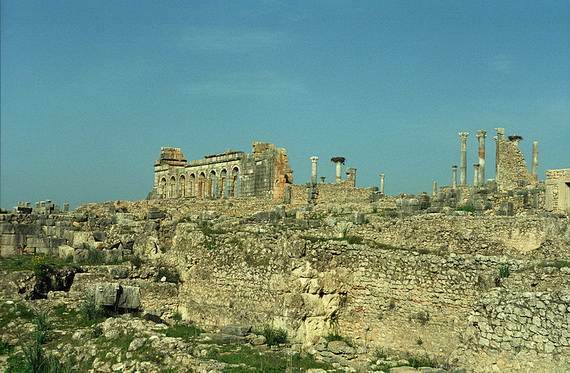 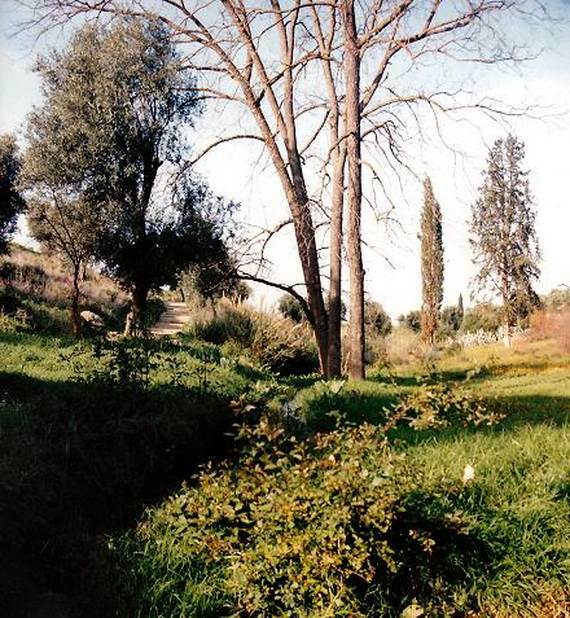 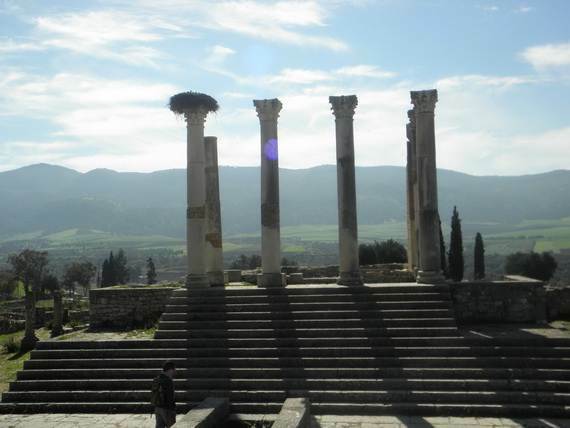 Archaeological Site of Volubilis was listed as a UNESCO World Heritage Site in 1997. 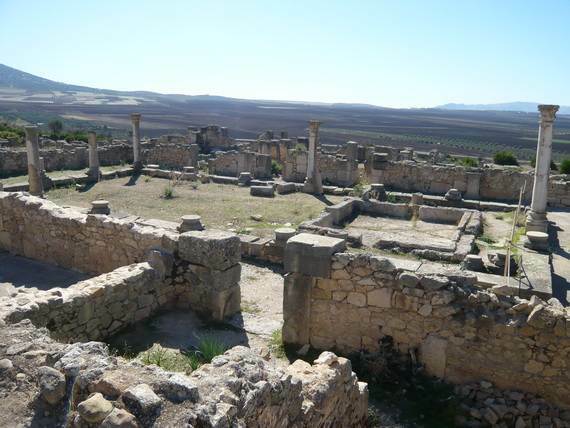 Archaeological Site of Volubilis (Walili) has become almost deserted and neglected by local tourism but became famous abroad when Martin Scorsese made it a feature location for his film, The Last Temptation of Christ, by screenwriter Paul Schrader The UNESCO Committee considered that this site is an exceptionally well preserved example of a large Roman colonial town on the fringes of the Empire. 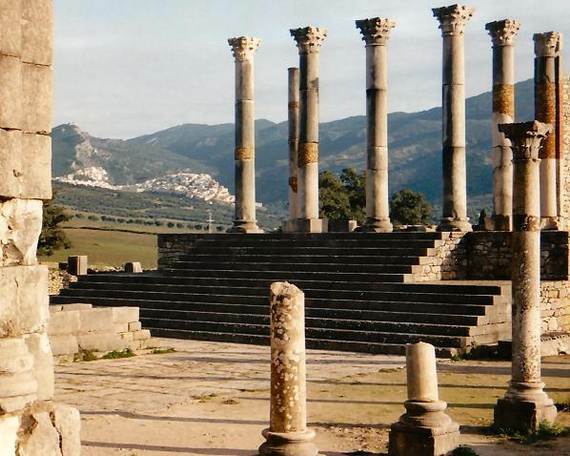 Archaeological Site of Volubilis (Arabic, Walili) is an ancient Roman Empire outpost that once served as the capital of Mauritania in the 3rd century BC and was graced with many fine buildings. 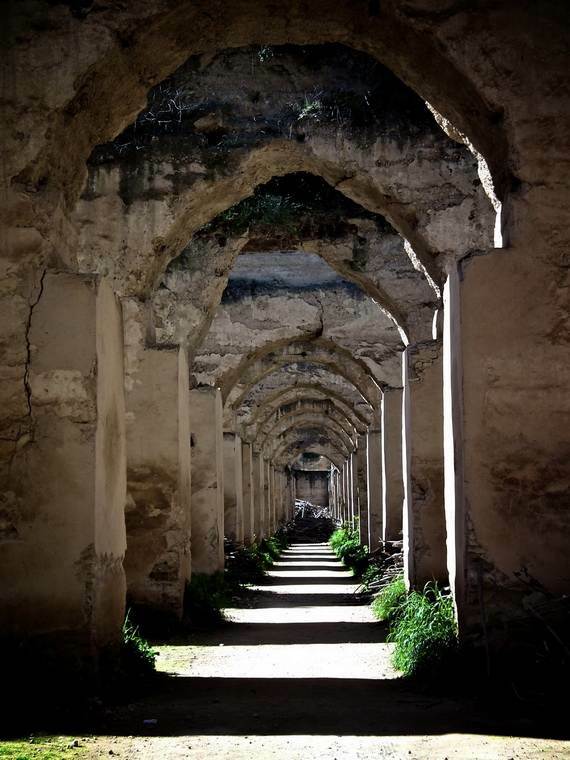 Located in Morocco near the city of Meknes (33 kilometers) between Fez and Rabat in the Middle Atlas, in a fertile agricultural area, and was graced with many fine buildings. 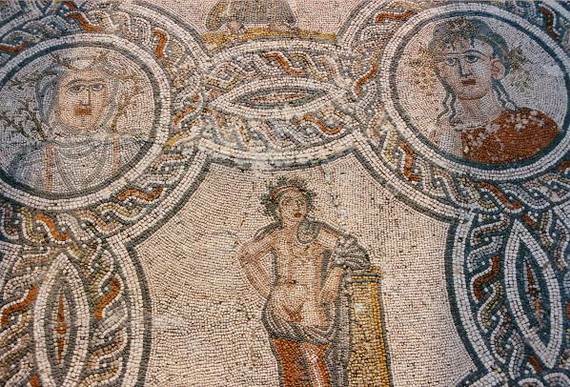 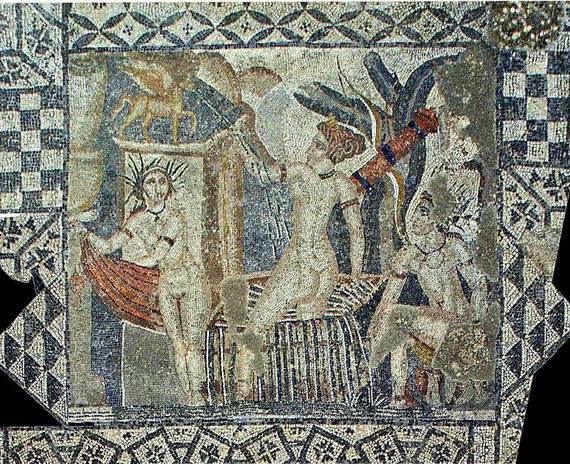 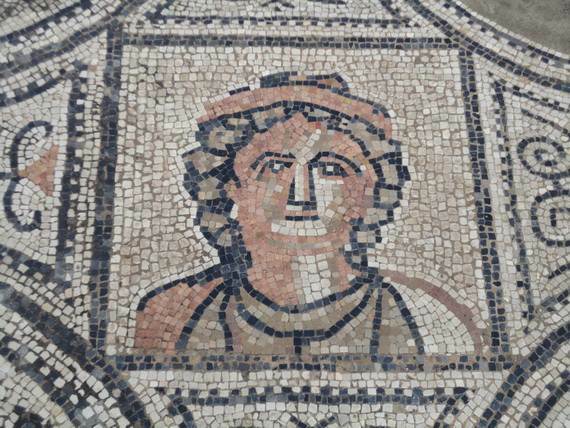 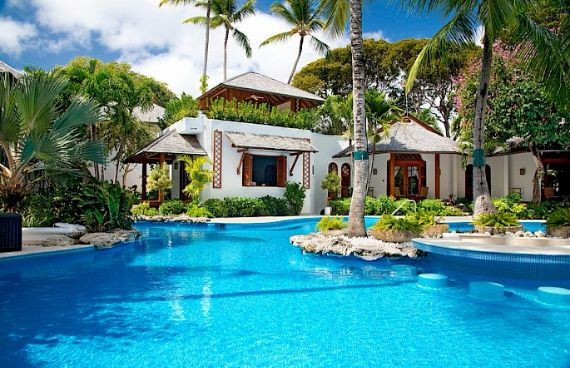 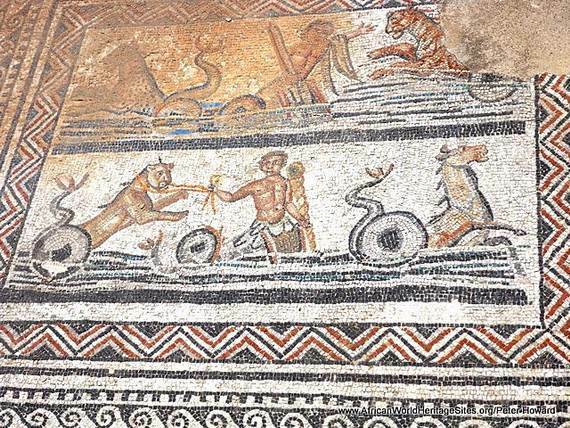 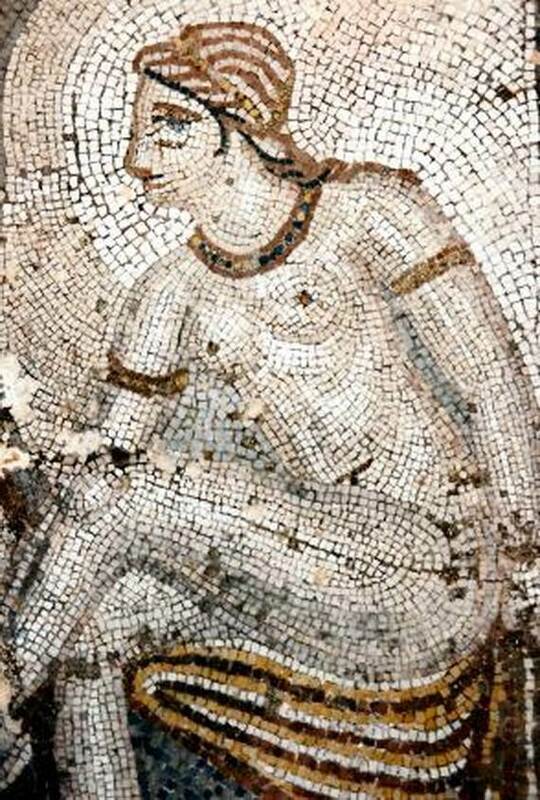 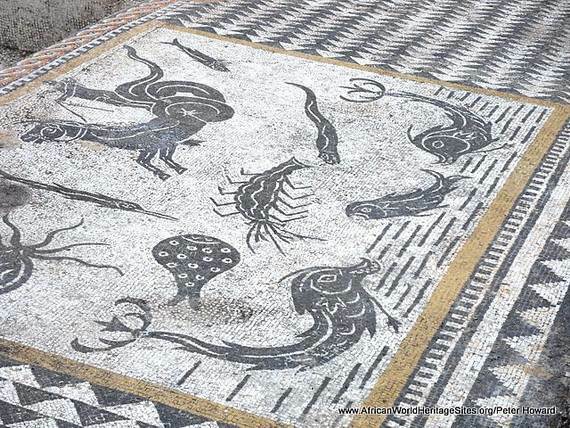 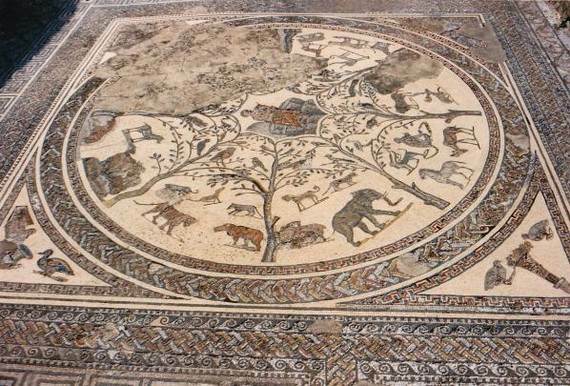 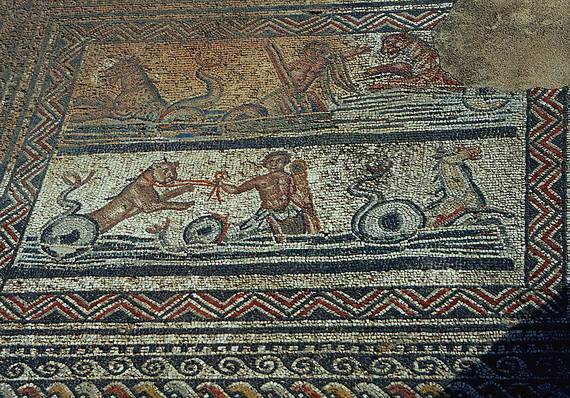 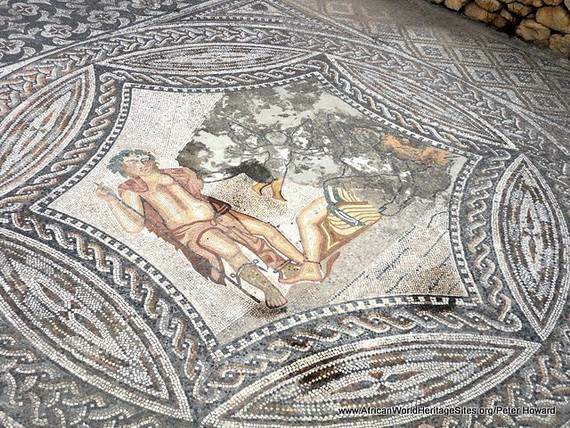 The fertile land of the province produced was the center of olive oil production which was exported to Rome, and its wealthier classes built lavish courtyard houses with intricate floor mosaics. 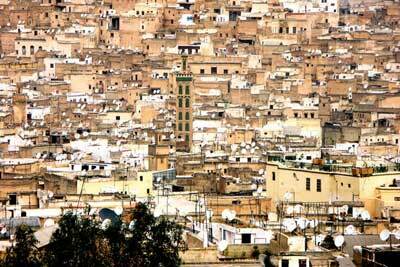 The nearest town is Moulay Idriss Zerhoun named after the great grandson of the Prophet Muhammad an important Islamic site in Maroc. 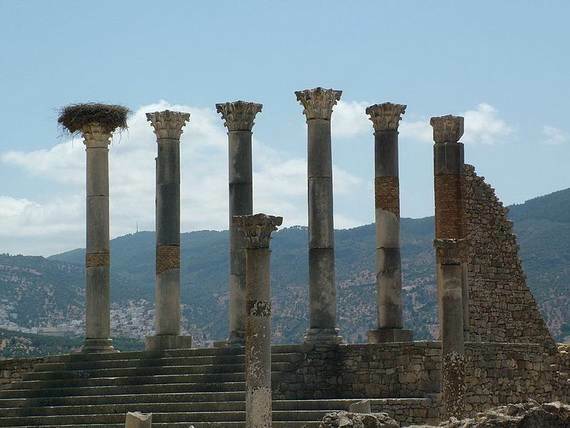 Volubilis features the best preserved Berber ruins and one of the largest ancient ruins in Africa. 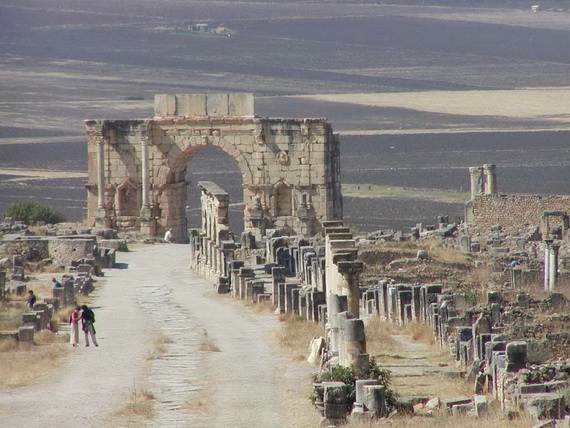 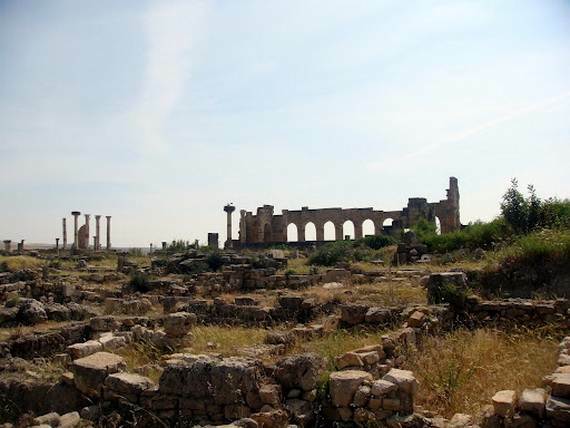 According to historic chronicles, the city Volubilis was ruled by Idris I later briefly to become the capital of Idris I, Ad 788 until his death in 791. 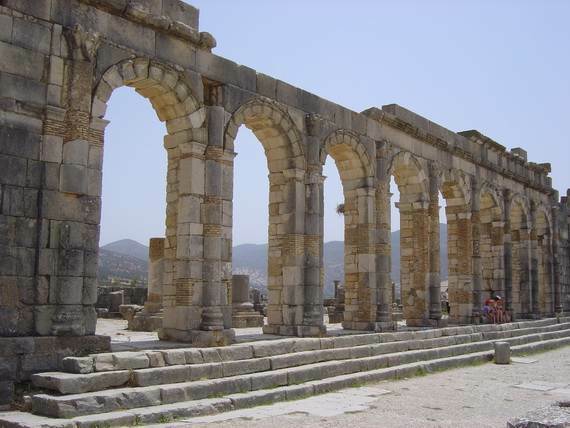 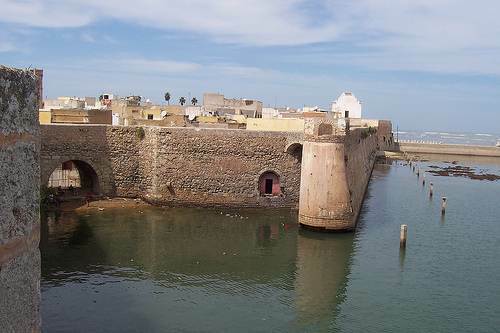 Idris I was the founder of the Idrisid dynasty, who is buried at nearby Moulay Idris. 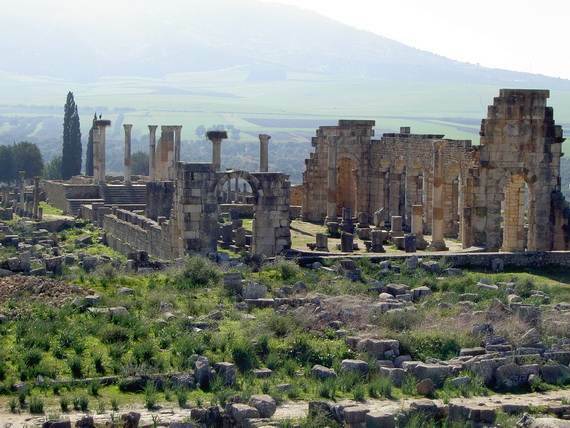 Volubilis is believed to a Roman settlement constructed on what was probably a Carthaginian city established by the Carthaginians , dating from 3rd century BC or probably even earlier. 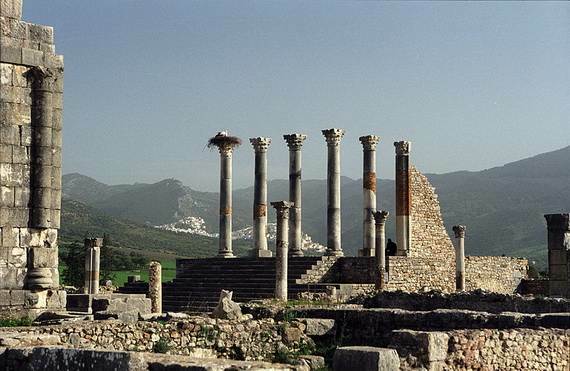 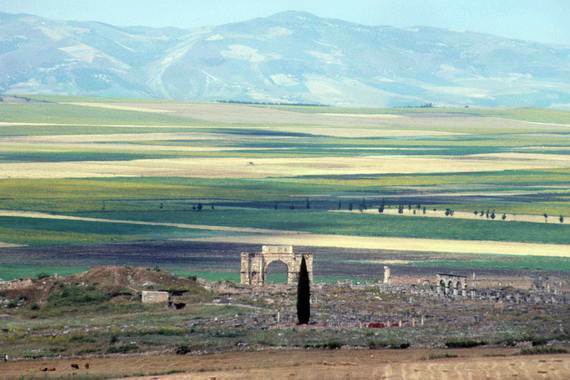 Volubilis was a central administrative city for this part of Roman Africa called Mauretania Tingitana…One of the westernmost outposts of the Roman Empire, responsible for the grain producing in this fertile region, and exports to Rome. 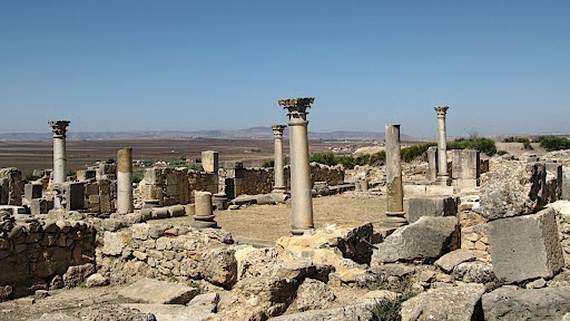 Unlike so many other Roman cities, the Romans did not institute a complete pull-out in this part of Africa It was occupied until the 3rd century. 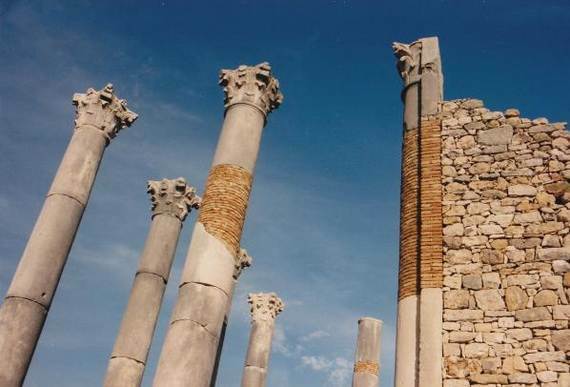 Volubilis continued to be inhabited into the late fourth century and even the sixth century. 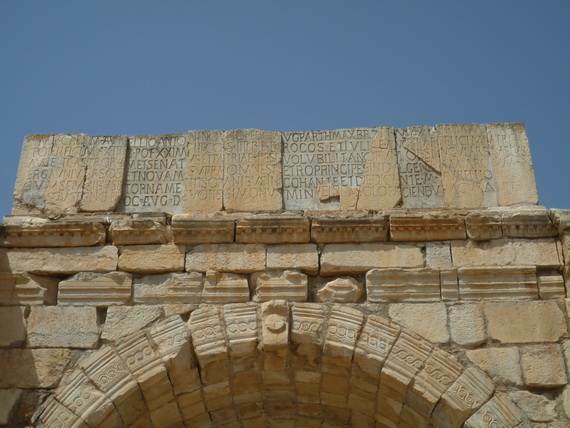 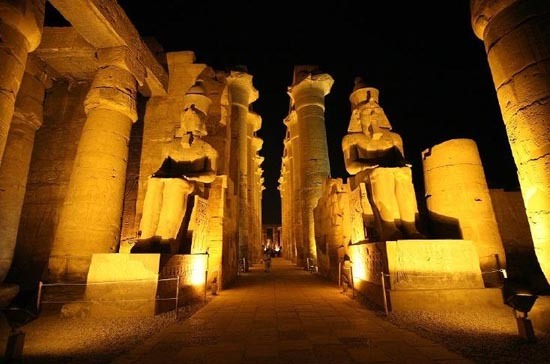 Even the Latin language survived for centuries, and as not replaced before the Arabs conquered North Africa in the late 7th century, and the discovery of tombstones with Latin on them pointed to the existence of a Roman community here. 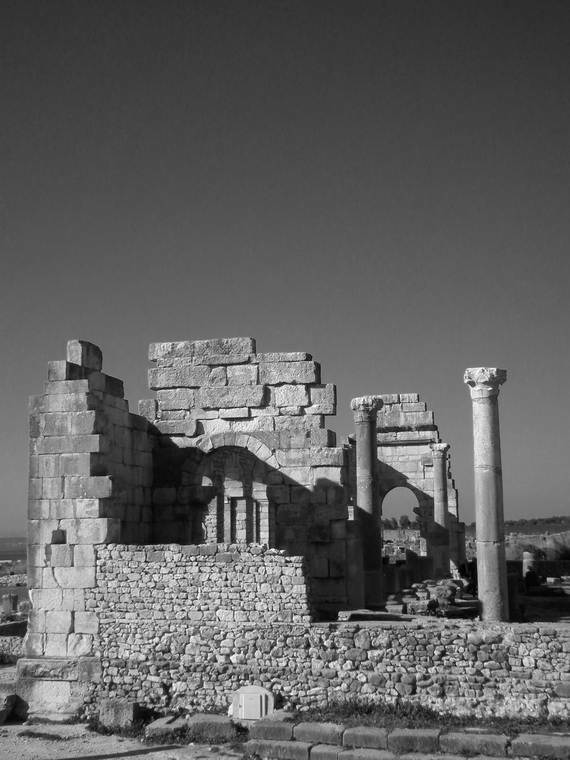 By the 7th century, however, Volubilis was administering contacts with the Berber tribes who only came as far as to cooperate with the Romans for mutual benefits or ruled later by the Berbers, as evident by the discovery of coins with Berber writings on them. 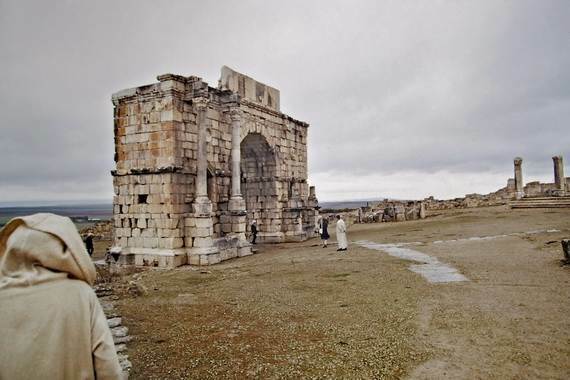 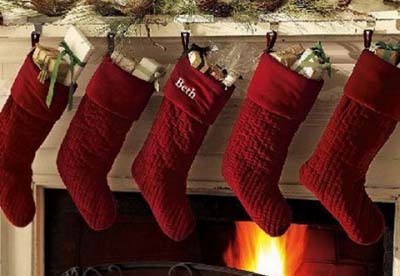 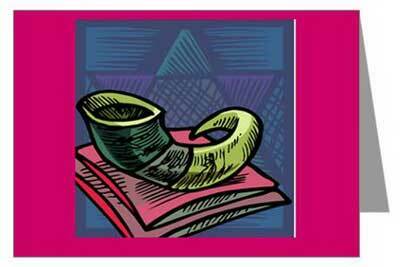 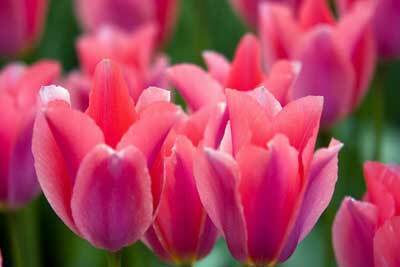 The Jews, Greeks and Syrian immigrants lived harmoniously alongside the Berbers until sultan Moulay Ismail came into power in the seventh century. 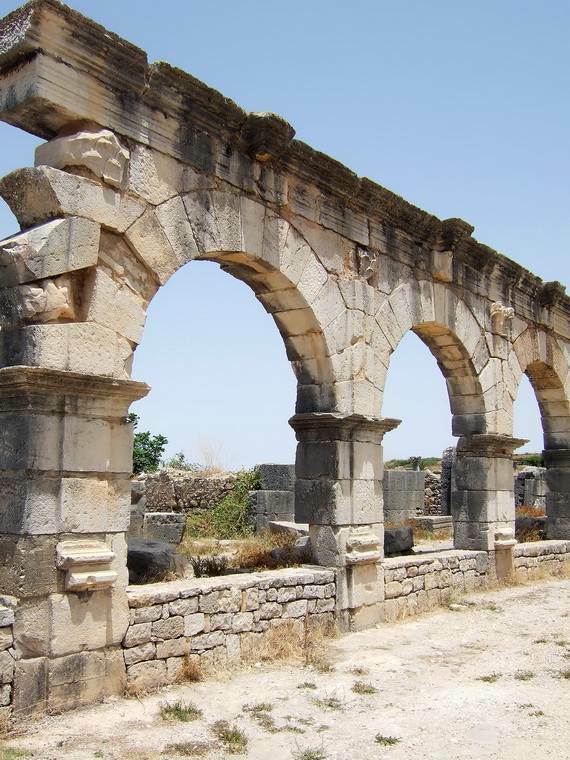 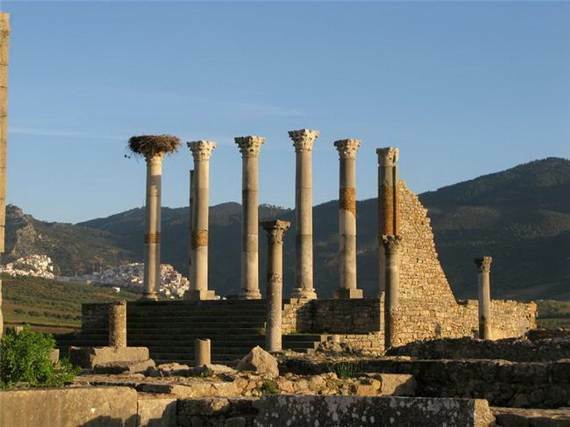 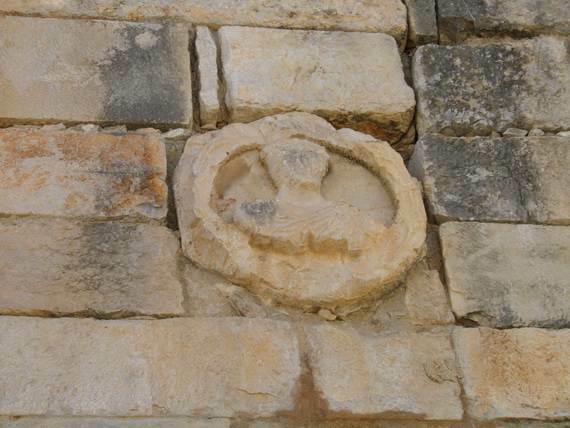 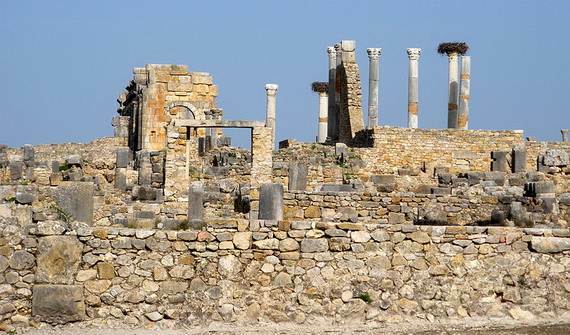 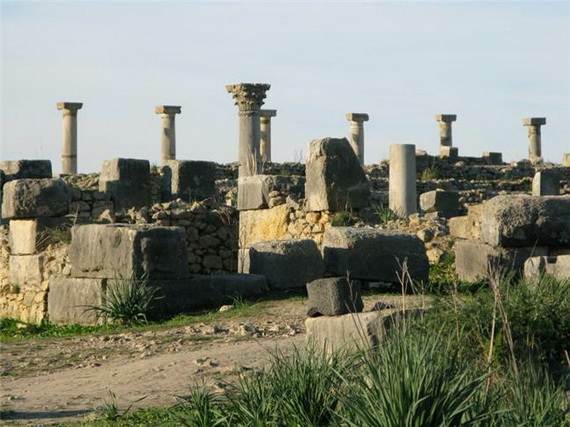 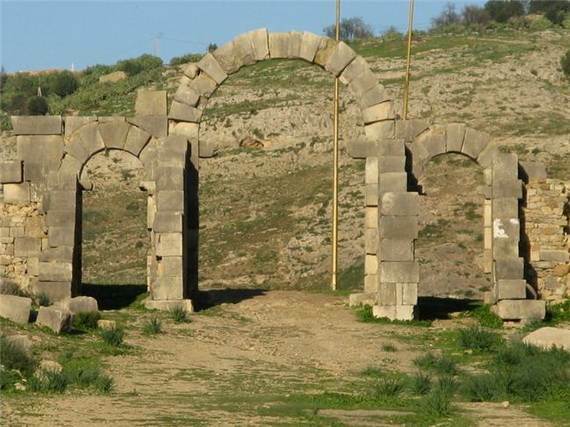 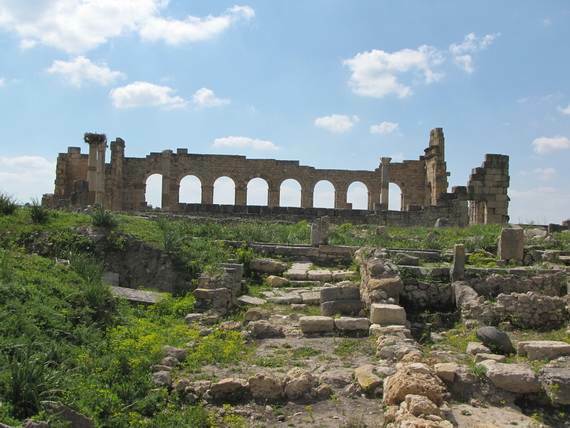 Archaeological evidence points that People continued to live in Volubilis for more than 1,000 years only to be abandoned in the 18th century, from prehistorically times through to the early Islamic period. 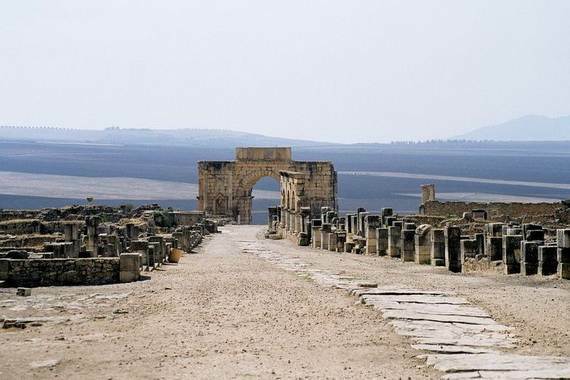 Volubilis was first abandoned in the 18th century, as with other Roman towns, the city was deliberately demolished in order to provide for building materials for the construction of the palaces of Moulay Ismail in nearby Meknes for his palaces. 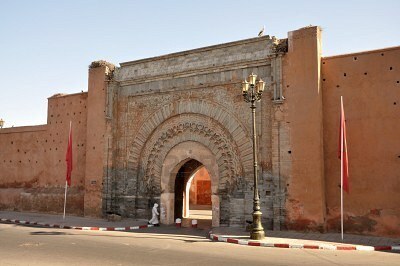 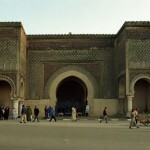 As the marble columns that flank the impressive city gate (Bab Mansour) at Meknes originating from here. 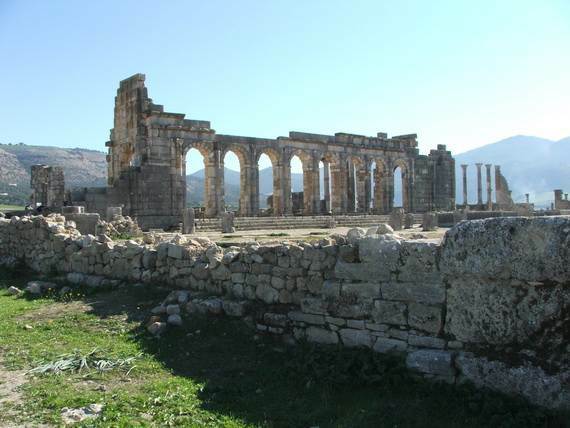 However, Walili appears to have been destroyed by an earthquake (1755 Lisbon earthquake), which damaged many of the structures in Volubilis. 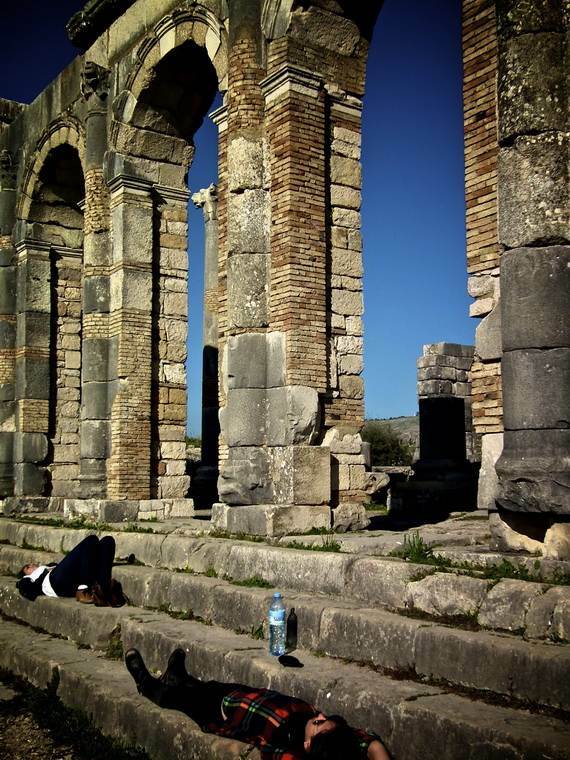 If that demolishing had not arrived, Volubilis could have become one of the best preserved Roman sites anywhere. 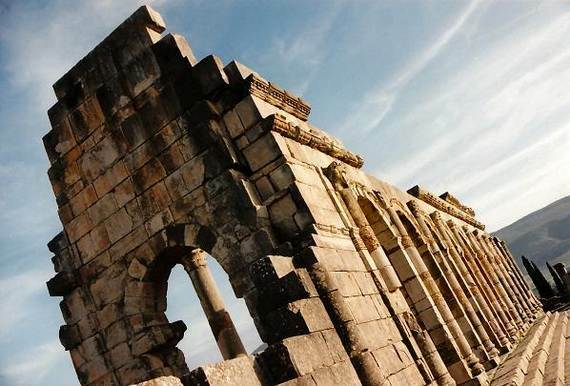 The open air museum of the impressive town Volubilis which is interested by both foreign and Moroccan tourists is no more than 800 x 600 metres, enclosed by a rampart (built in 168-9 AD), with eight monumental gates, and an array of public buildings including a basilica. 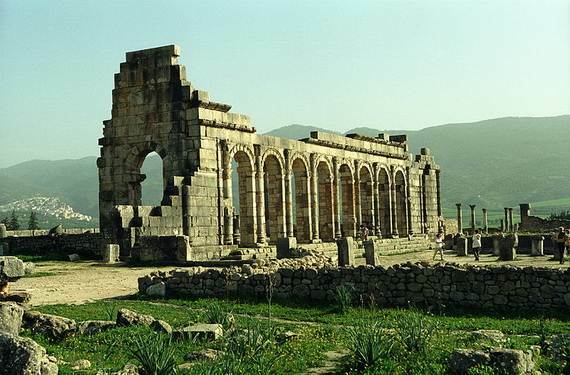 The basilica of Volubilis is very impressive, and even if there is not much beyond it is in good shape,but capital and triumphal arch are in good shape. 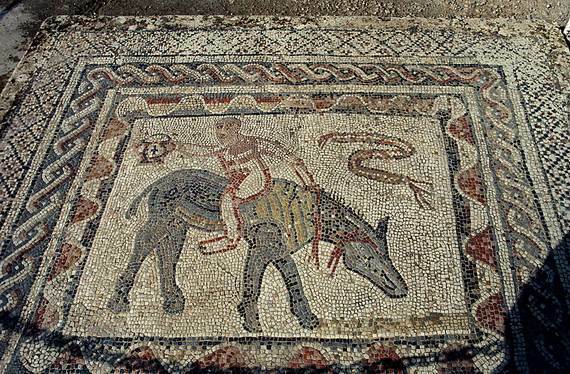 A high percentage of the best excavations at Walili have been displayed in the Rabat Archaeological Museum close to the royal palace. 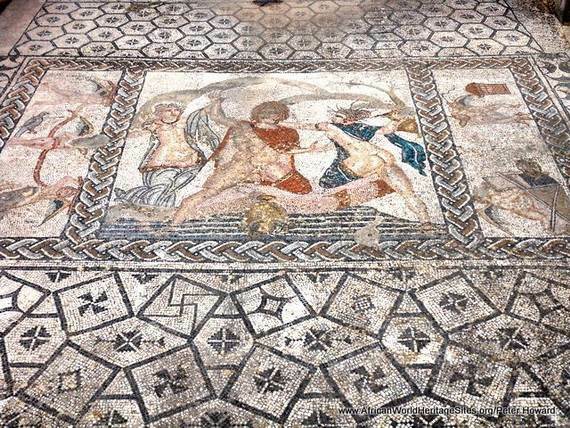 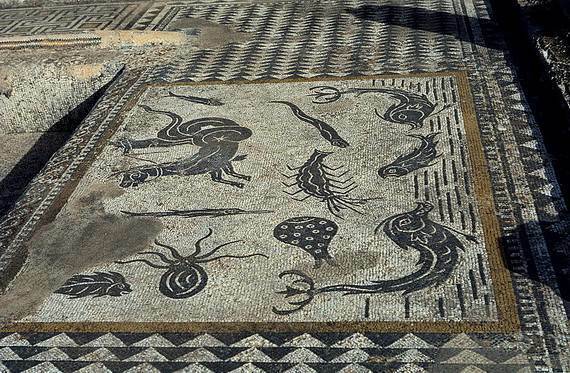 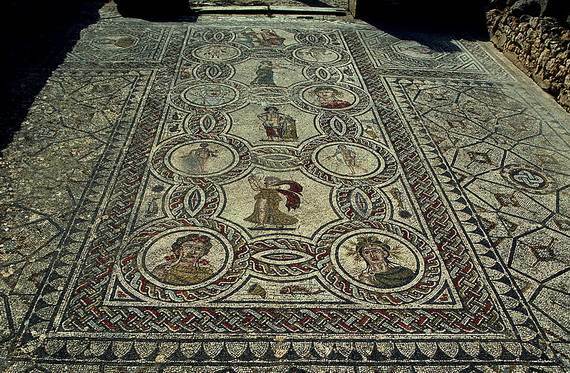 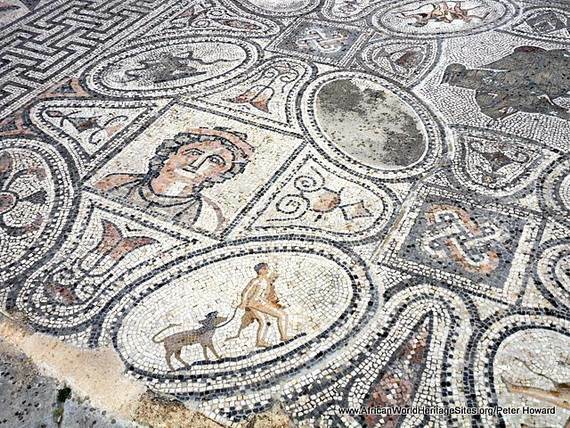 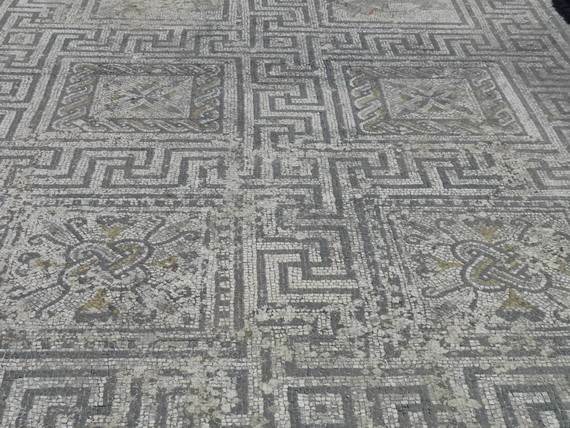 Volubilis was an ancient Roman city where many valuable mosaics ( the mosaics are decorated floors) in an impressive quantity and excellent conditions.